Russian businessman Smolenski, you’ll probably remember, bought TVR from its former owner, Peter Wheeler, in 2004, but despite his best intentions he could only watch as the whole shebang – already running out of both goodwill and customers – failed under him. But even when the Blackpool site closed at the end of 2006, Smolenski hoped it might not be over. He took the name and development team with him, and a small team of engineers beavered away to come up with what sounds like a distinctly un-stupid idea for a limited-volume car maker: don’t use your own engine. 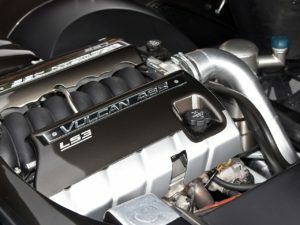 Instead, why not buy a Chevrolet LS3 motor and save yourself the bother? So here it is: a Tuscan Mk3, with a Chevy V8. 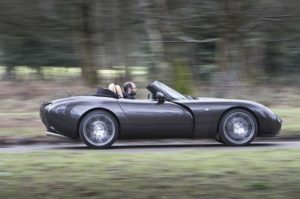 Restarting production sounded like a plausible proposition until Smolenski’s team did the full numbers and realised that, in order to turn a profit, each car would have to sell for £100,000. No dice, then. The TVR name will live on only on wind turbines. 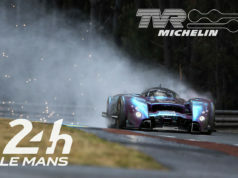 All except for the prototype Chevy-engined Tuscan, which was in Austria. 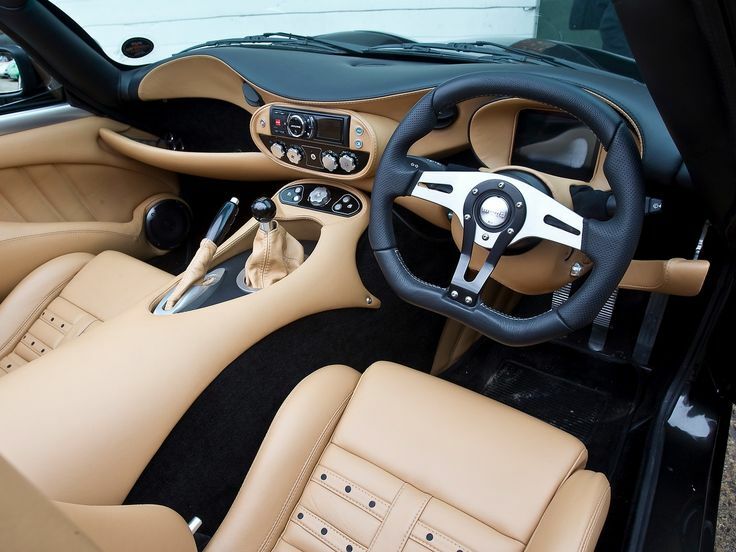 Meanwhile, a TVR specialist – Str8six of Lewknor, Oxfordshire – was over here. 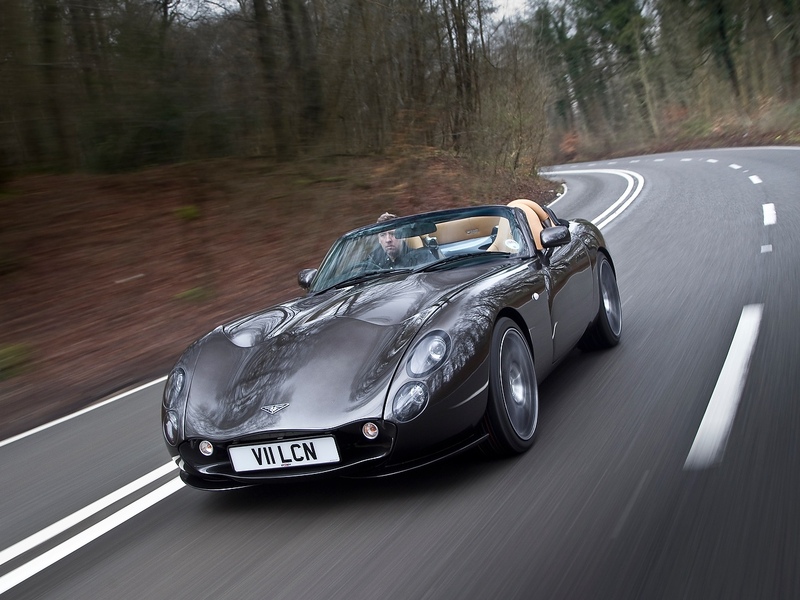 Str8six has built a few ‘end of line’ TVRs, and it still owns a few Tuscan chassis it rescued from the factory. You can guess the rest. Str8six has now rebuilt what was, in truth, a pretty shabby and hard-worked development hack. 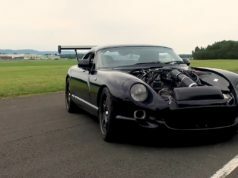 The car had been set up for high-speed autobahn work – not something for which a TVR’s famously pointy steering was a traditional match – while the engine bay was a state and the interior not much better. 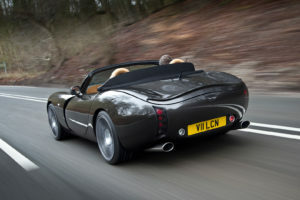 tuned – with a bespoke exhaust – to make what Str8six is claiming to be 485bhp. That should be conservative; earlier dyno tests put it at 505bhp. The impeccable appearance continues inside, too, because the good guys – the really good ones – always stick around in the business. Str8six’s gaffer is Jason Clegg, a former factory employee, and he chose another former colleague, who now runs a small shop called Trim Unique, to do the interior. 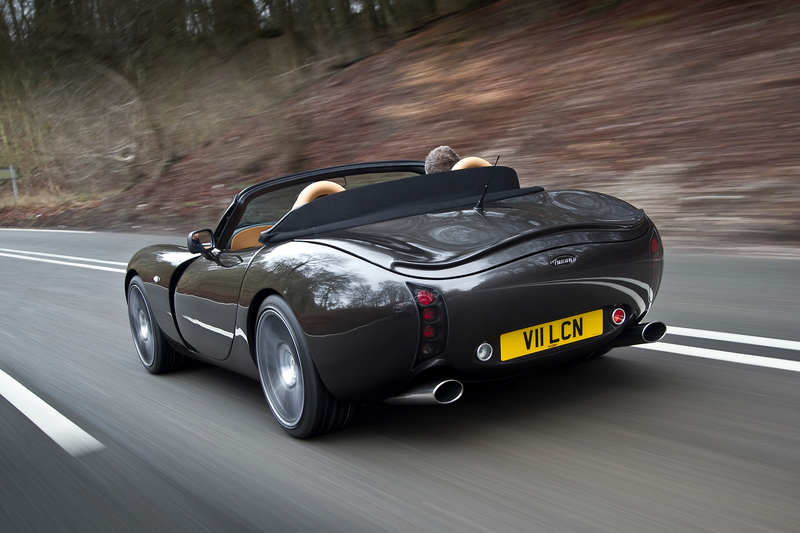 It retains the swoopiness that was such a huge part of the appeal of late TVRs. The dash panel looks a touch incongruous, but the fit and finish is better than in any TVR I remember. 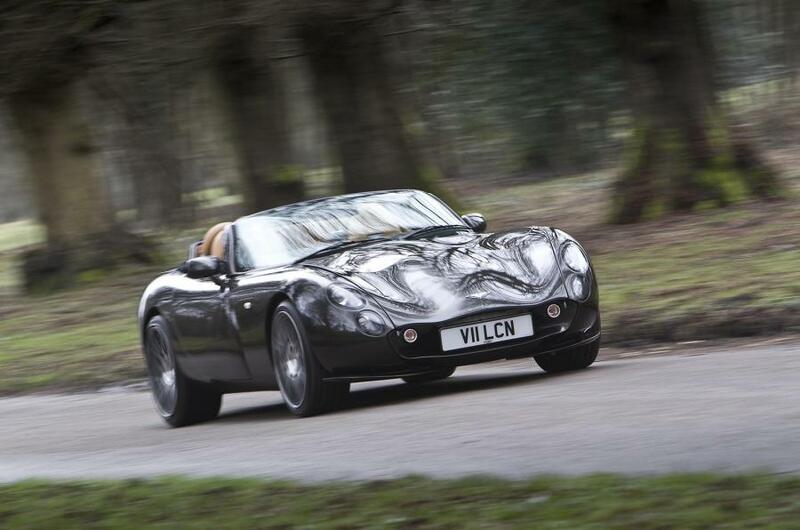 They’ve called it the Tuscan Vulcan. By gum, it sounds pretty decent when they fire it up, too. In a standard production car, an LS3 unit is a pretty muted thing, but evidently it’s all in the exhausts. This is a monster – the sort of sound that TVRs used to have, in what I suppose you’d call the good old days. So it isn’t out of character. Take it for a drive, they say. So I do. And you know what? It’s good. Really good. This is such a tractable engine, and it’s still a relatively light car – no more than the 1100kg it was new. So it trickles along on a light throttle opening with no worries, no complaints. There are three-stage adjustable Ohlins dampers, set up, Clegg explains, not unlike production Tuscans, so it’s respectably damped even with larger wheels than on original cars, and maintains precise body control. The leggy, lazy power delivery would make this a fine long- distance cruiser, in fact. And yes, the steering is still fast, but it’s not nervy. There is a lot to like: incisive turn-in, lots of grip and mechanical feedback by the bucketload. Speed by the bucketload, too, when you forget about cruising and give it the beans. Blimey. It pulls. It goes. And it sounds mega. It’s fairly devastating, all told, and it remains in the top performance division, no question. There’s so much to like, in fact, that this one found an owner without too many problems. 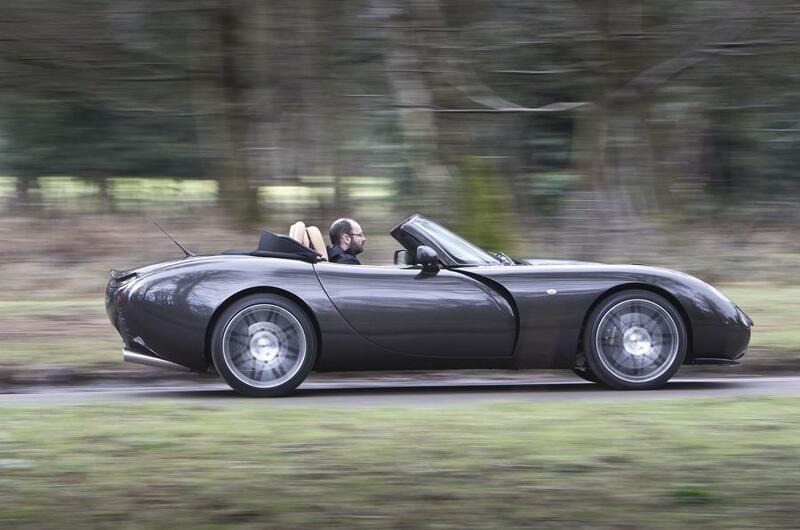 Admittedly, he’s hooked – he’s had four TVRs before this one – but I could see the appeal. 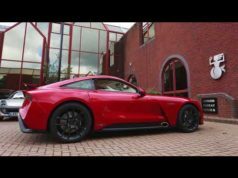 If you could, too, and if you turn up in Lewknor with a cheque big enough, this one might not be quite the last TVR after all.